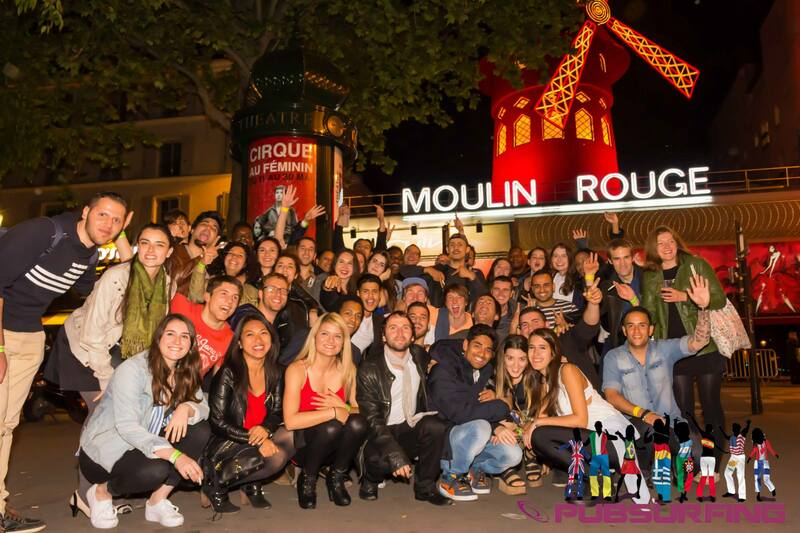 The pubsurfing is the only Parisian party where you can come alone or with friends and where you're sure to meet new people for partying better. The idea is to create a small group of party animals, it's new and it's exist nowhere else. To help you there will be a visit with 4 venues with 4 different atmosphere and a small shot at each stop. The ballad in the red light district also allows you to meet more people, every departure and arrival you will have the opportunity to make new friends. The meeting point is available only on the ticket because the venue could change at any time !!! The result is amazing !!! Every night the party is full !!! Many internationals join Parisians for partying and dancing until dawn. Locals love our party and internationals find the name of the best pubcrawl in Paris: Pubsurfing !!! Book now, do not wait more because it could be already full ! Facebook online booking is here or you could also book now on our website below the video.